Growing up I never had a love much less an appreciation for poetry. In high school and college there was nothing that drew me to admire, care for, or even really even respect the words from the typical canon of poets. It wasn’t until a few years into my teaching career when I went to a Louder Than A Bomb poetry event and heard students from all across our city and the Chicago land region putting their words out there for everyone to hear, that I realized the true power that spoken word possessed. 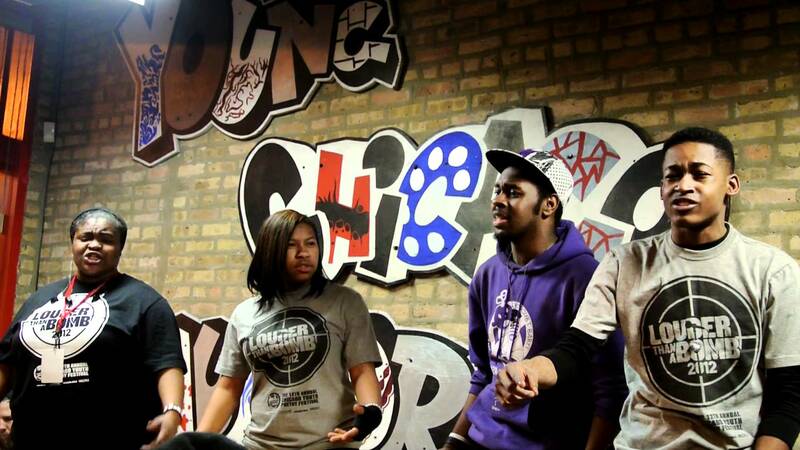 For the many of us fortunate enough to already know about Louder Than A Bomb or more commonly LTAB we know that it is one of the best things that Chicago has going for it. You see, LTAB is put on by Young Chicago Authors which brings over 1,000 kids from nearly every neighborhood of our city, the suburbs, Indiana, and the greater Chicago land area together. As we know Chicago is one of the most racially and economically segregated cities in the United States. LTAB one of the few events that actually works to desegregate our students and our city. This “competition” of poetry gives students from every possible neighborhood, suburb, or region a chance for kids to listen, share, and build a community with each other through the simple ancient act of sharing their stories. The amazing thing is I guarantee of all the kids who have taken part and “competed” in LTAB there are thousands of stories just like these. So if you have never seen this event before do yourself a favor and go watch and listen. The youth of Chicago are speaking and they have spent days, weeks, and months preparing their messages to be heard.